I began reforming my understanding of mission work when I participated in the Presbyterian Church (U.S.A.) Young Adult Volunteer program after I graduated from college in 2002. I served in England, where the PC(USA)’s church partner was running an after-school program for at-risk youth. 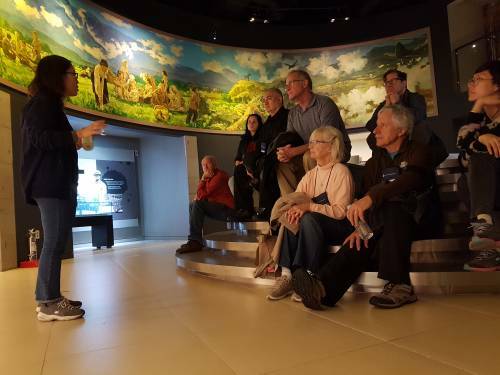 I received the most profound impression that year from the YAV orientation and all that I learned from global partners in the community in which I was immersed — namely, that I had so much more to learn about the world around me. In 2003, I watched the U.S. invade Iraq in the aftermath of four coordinated attacks on U.S. soil the morning of Sept. 11, 2001. It was the moment I realized that if we do not understand the world around us, the decisions we make in the U.S. can have a profound effect, either to decrease or to increase the suffering of others. 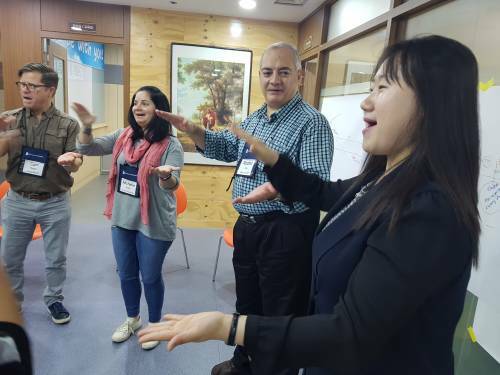 Years later, when my wife, Hyeyoung Lee, and I applied to become site coordinators for the YAV site in Korea, I knew that I wanted to share the same lessons I had received with young adults serving as YAVs in Korea. God of warmth and compassion, let us be filled with the light of Christ. Lead us out into the world where the lost, lonely and hungry can be the face of Jesus for us. Amen.